Andy Rubin, best known as the founder of Android, became the head of the division after Google purchased the mobile operating system. He left the company in 2014 after briefly heading the robotics division, and founded Playground Global. Since then his tech incubator has provided funding and help to many startups with Google being one of the sponsors of this venture. Now the famed inventor has hatched a new plan, one that could be considered exciting by some, but is more likely to scare many others. Rubin would like to give you a free dashcam -- you know, those little devices that record what's ahead on the road and could be valuable evidence in an accident. Sounds great, doesn't it? Doesn't it?! There's a bit more to this than the kindness of Rubin's heart. In exchange for this there's a trade-off. Rubin gets your data. That's where the tinfoil hats start being placed on heads. To be fair, we don't expect Rubin to be selling anyone down the river for some advertising deal targeting the places you go, for example. However, that does not rule out the possibility, especially if the company were to be sold sometime. The plan in all of this is to create what essentially would be a real-time Google Street View. 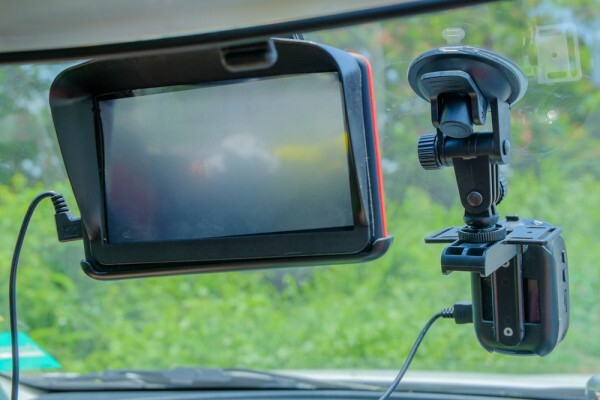 In a recent profile in Wired magazine, the author writes "When pressed, he says he is in fact working on a dashcam, which he plans to give away in exchange for its data -- potentially allowing Playground to build a real-time visual map of the world". The Verge agreed, stating "Dashcams could enable real-time traffic status, or even a real-time Street View-like service". The question is, will people buy into this? It would need large-scale adoption to work the way it should, and that could be a hard sell in today's privacy-conscious society. The revelations of the likes of Edward Snowden, which have done a tremendous amount of good and resulted in people beginning to use encryption, may also prove a hindrance for something such as this, making it much easier for groups like the NSA to keep tabs on people. We'll see what happens when this actually becomes available.